I can’t believe how quickly January has flown by! It feels like yesterday when I wrote my 2016 resolutions, so when it came to picking my favourites for this month, I was left scratching my head and wondering where the time had gone. 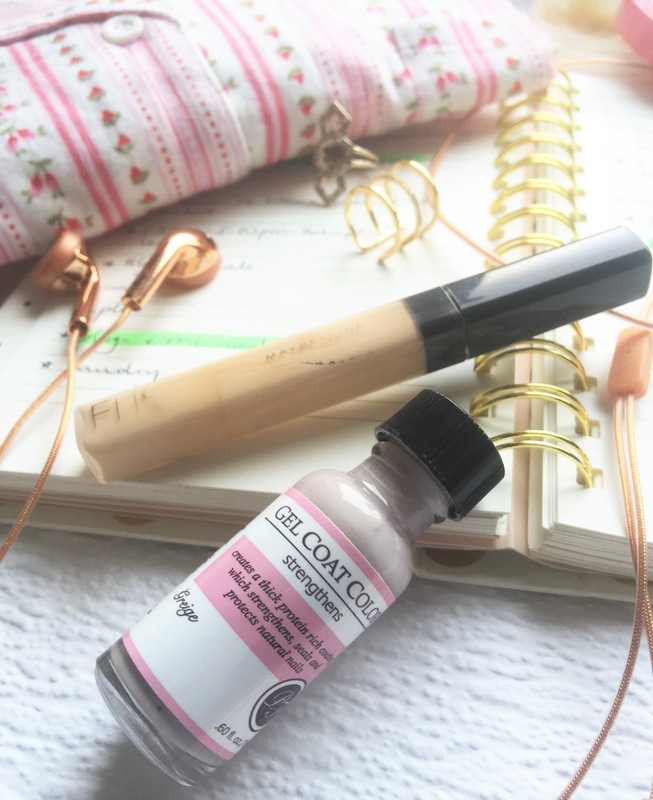 I wanted to share the things that I had truly been using and loving throughout this month, so there are only a handful of things (eight to be precise!). January is a strange month – to be honest I’m glad it’s finally over and now we’ve firmly stepped into 2016. You might remember that I purchased Soap & Glory’s Belle of the Ball in December which had lots of bath goodies from the Smoothie Star range. I’ve loved using each and every one of the products from the set but my two favourites have to be the Breakfast Scrub and the Rich & Foamous Shower Cream. 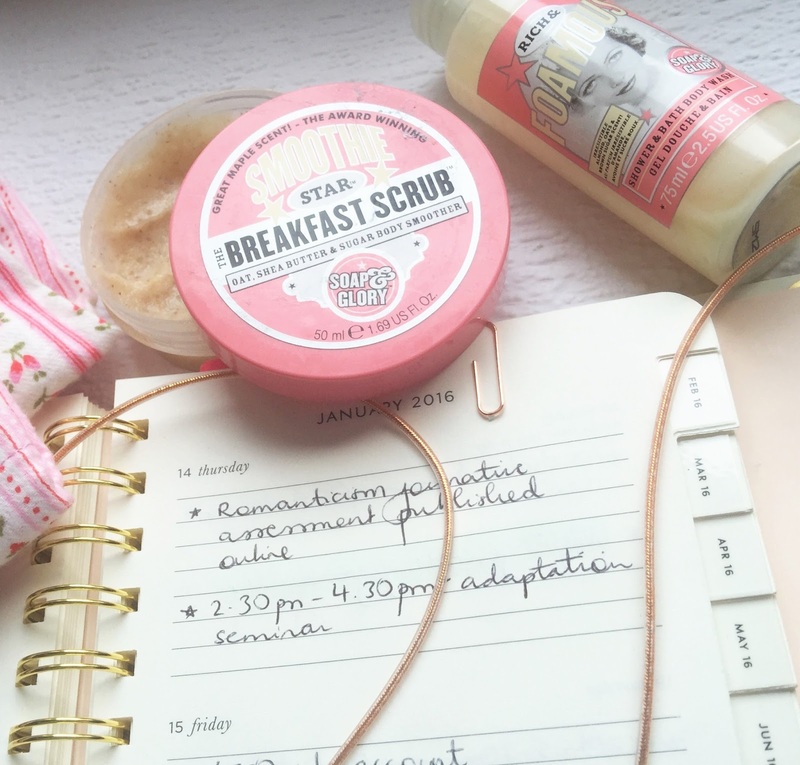 I’ve used both every day this month – followed up with the Smoothie Star Body Buttercream, I smell like maple syrup and sugar all day! 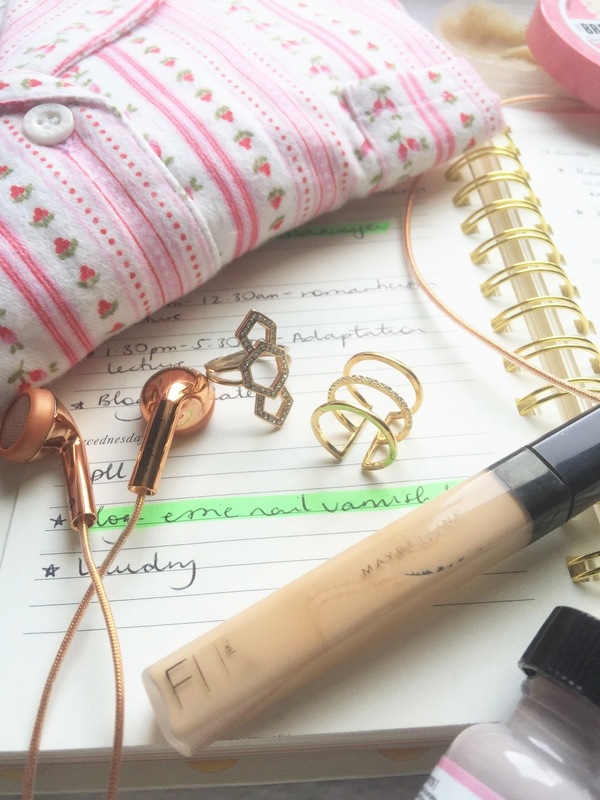 The Maybelline Fit Me Concealer has been my saviour once my NARS Radiant Creamy Concealer was coming to an end. It doesn’t crease on me and provides medium buildable coverage which is perfect for hyper pigmentation and redness in the morning. For nails, I have literally only worn one shade all month. This rarely happens, trust me. But Perfect Formula’s Greige has just been a dream to wear. My nails feel strong, healthy and it’s the perfect new year neutral that goes with anything and everything (even my pyjamas, I kid you not). It’s been all about the jewellery this month, and no one does affordable jewellery better than Accessorize. I’ve recently purchased these two rings which I have worn to death this month. Again, there’s a close up picture of them on in this post. My Kate Spade Agenda has been my best friend for having an organised kick start for 2016. I love everything about it – it has monthly pages so you can plan your whole month, and then week on two pages throughout the rest of the planner. Each month is divided with tabs for easy access when flicking through. I recently wrote a review on my gorgeous copper rose gold Happy Plugs earbuds. I’ve been sporting these non-stop since they arrived in the mail. I’ve written so much more on them in that post, so be sure to read that if you’re interested. Last but not least, are my new pyjamas. I recently purchased three sets of pyjamas from Boux Avenue, and I’ve been loving them all. 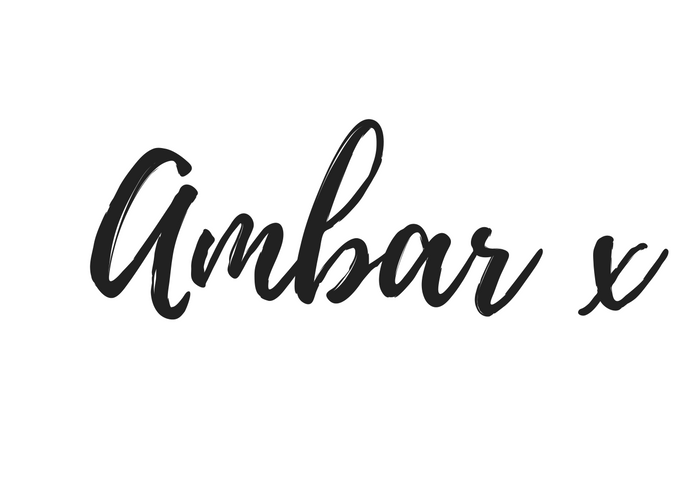 There is something that feels very luxurious when wearing a good set of pyjamas – and with all the cute prints, I’ve been in sleepwear heaven all month!